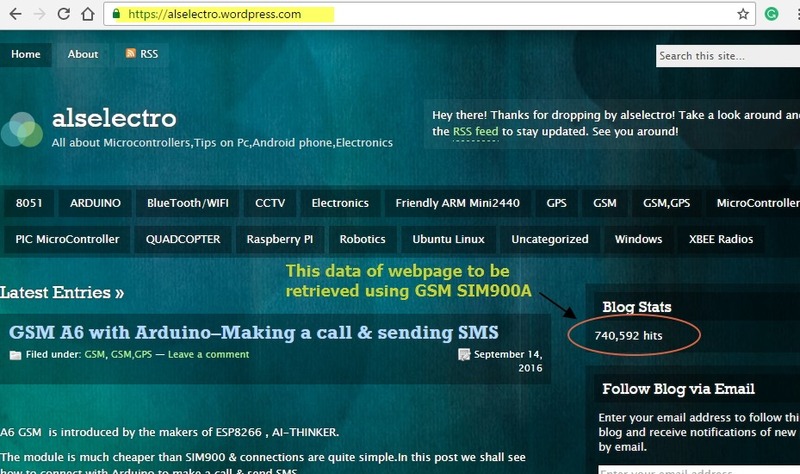 This post is on retrieving particular Data from a web page using SIM900A & Arduino. For e.g we shall retrieve the Blog Status hits of my blog in which you’re reading this. We’ve to create an API link for this data so that data can be retrieved using SIM900A. 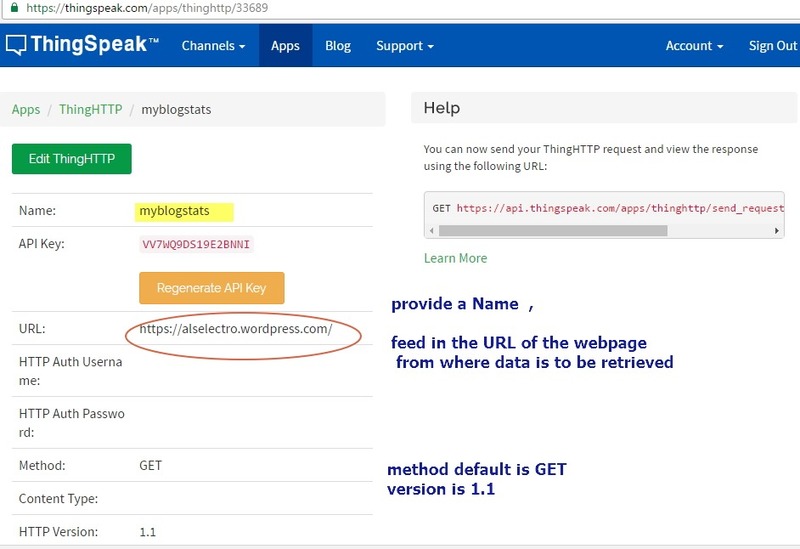 To create API link we use the THINGSPEAK.com website. Right click on the data to be retrieved & click on INSPECT . 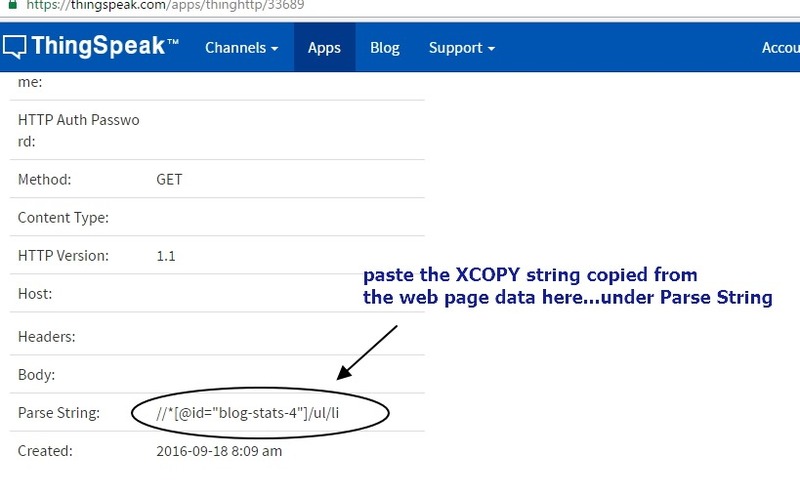 The copied XPATH detail has to be used in THINSPEAK account to create the API link. 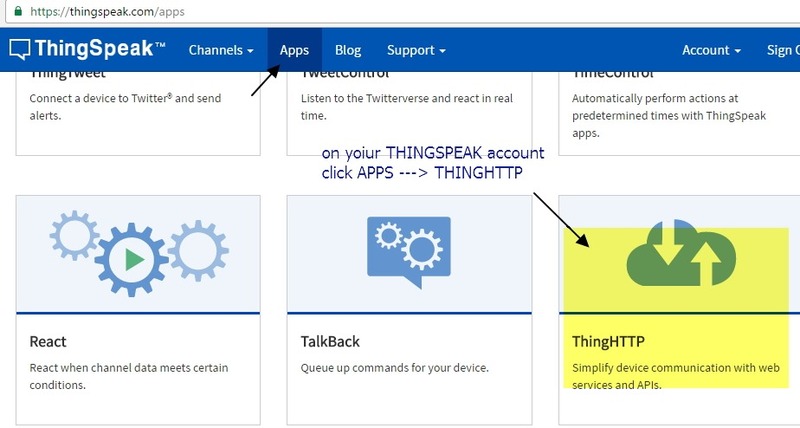 Click on NEW THINGSPEAK to create a new “thing”. You can provide a suitable Name for the App & under URL provide the website link from where you want the data from. 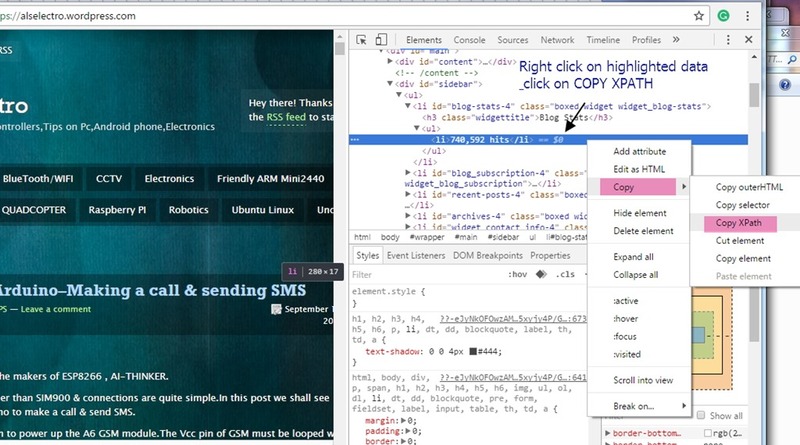 Scroll down to bottom & under the PARSE STRING field paste the XPATH copied from the website. Click on SAVE & you see the API LINK generated. You can use this API link in your browser to confirm the data retrieved. Now let us see the practical application using SIN900A GSM & ARDUINO. A separate power source is required for the GSM. delay(8000);//the delay is important if the return datas are very large, the time required longer. & Then the APN –Access Point Name of the mobile service provider is given. HTTP parameters are then provided as “URL” & the API link we created earlier. 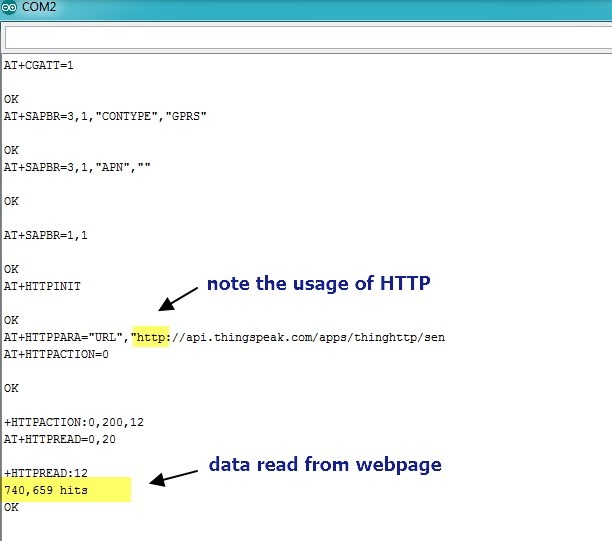 Note to use HTTP ( not HTTPS) in the link, as we use AT commands for HTTP only here. Here 0 means GET action & 200 means OK , 12 bytes are retrieved. If you get 600 instaed of 200 ,then it means a Network Error. AT+HTTPREAD command is used to read the Data. can you show us how to get data from https url?